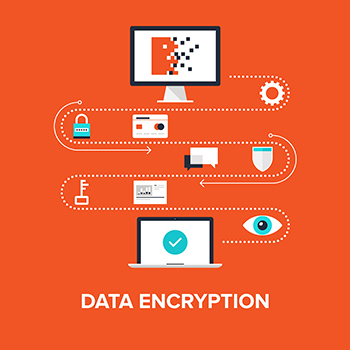 Encryption - Daily Tech Update – February 20, 2018 | Blue Mountain Data Systems Inc. CLOUD CONTENT: Using Structured Encryption to Search Protected Photos in the Cloud. In a recent presentation at the Real World Crypto symposium, researchers affiliated with Brown University and a startup called Pixek presented their work developing an app that encrypts photos at the moment they’re taken and uploads them in encrypted form to a cloud server, in such a way that the keys remain on the user’s device, meaning the service provider can’t view the photos. Despite that, the photos remain searchable using automated tags generated by image classifiers, thanks to a largely theoretical tool called “structured encryption,” which provides for the ability to do computational work on a system without the system knowing what kind of work it is doing. Read more. MORE CLOUD: How Secure Is Your Data When It’s Stored in the Cloud? As cloud storage becomes more common, data security is an increasing concern. Companies and schools have been increasing their use of services like Google Drive for some time, and lots of individual users also store files on Dropbox, Box, Amazon Drive, Microsoft OneDrive and the like. They’re no doubt concerned about keeping their information private—and millions more users might store data online if they were more certain of its security. Read more. NOW ON SLIDESHARE: Tech Update Summary from Blue Mountain Data Systems January 2018 https://www.slideshare.net/BMDS3416/tech-update-summary-from-blue-mountain-data-systems-january-2018.